Pezzimenti says many of these are not just reports of lights in the sky. Some of the sightings come with photos or video. The hosts of 4BC said they had heard many sightings are due to a large local event called the Royal Queensland Show, aka Ekka (referred to as “the exhibition” in the radio show). The event is Queensland’s largest annual event, attracting hundreds of thousands of guest from around the world. It includes farm animal, food, and strength competitions, among other events, and takes place in early August. Pezzimenti admitted that many UFO reports are misidentifications. He cited a recent sighting in mid-July in which the police suggested the mysterious lights were actually due to the testing of the fairground lights in preparation for Ekka. The photograph Pezzimenti refers to is a sighting he is particularly excited about. The photo was allegedly taken on Friday, May 23, 2014 in the Wooloowin area at 5:35 pm. It shows what appears to be a strange disk-shaped object in the sky. 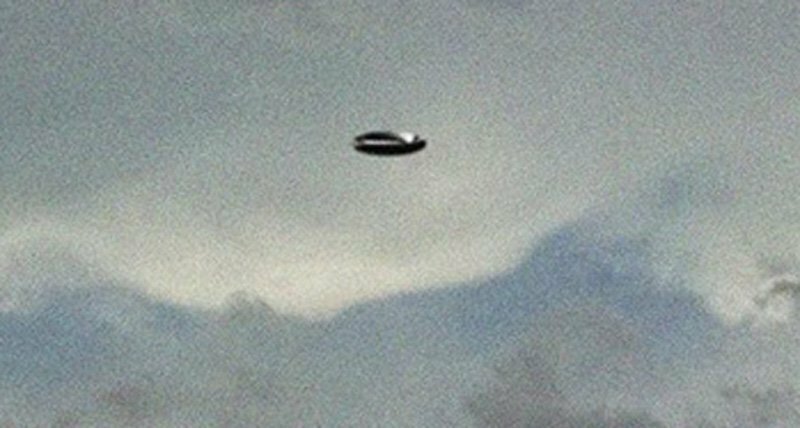 The image was posted on a Facebook page called Brisbane UFO Sightings, which was created recently for the founder of the page to post pictures of UFOs. Apparently, he or she captures them often. Other than the date, time, and location of the sighting, no other information is provided. Other videos can be seen in the interview with 4BC and Pezzimenti, embedded in the Brisbane Times article. The increase in sightings has lead to a local resident to begin holding skywatches. Kristy Buist, founder of the Paranormal Awareness Community, had her first skywatch scheduled for earlier this week. Buist told the Brisbane Times she has had four sightings of her own. She described the first as, “platinum and sort of shaped like diamonds just casually floating across the sky”. Both of which I am sure local researchers will continue to practice as they continue their quest for UFO evidence, which, incidentally, remains elusive despite the increased reports.